I am into sprouting for my Fids. 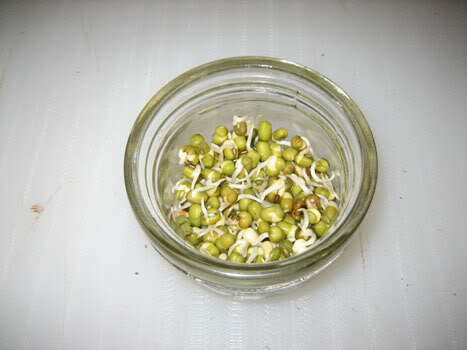 I keep it simple and mostly just sprout Mung Beans. If you do a search you will find them high on the food scale, and contain a lot of good stuff. I understand that they do need to be fresh and are that their best when the tails are under 1/2in long. I do other seeds, but each time I only do one type. This is because not all seeds sprout in the same number of days. As you can see in the pics I only do a few. 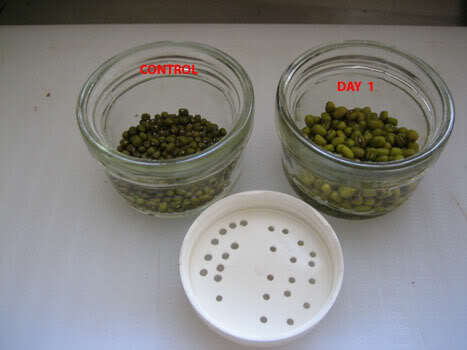 And one of the most important things to remember is that they do need to be rinsed at least twice a day, and more often if you have trouble sprouting. The best thing is to try them yourself and if they taste funny throw them out. Same with if they get slimy. Oh! Another thing is you do need to get fresh seeds. 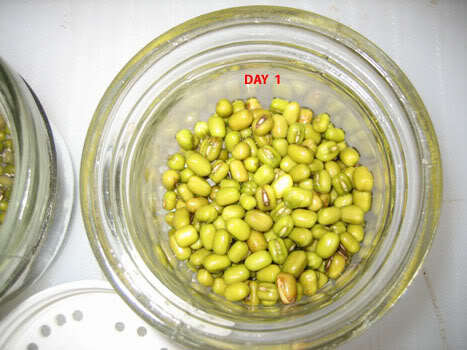 Old stale, or treated seeds will not sprout, just go slimy. My guys do enjoy them. First day I just soak them and rinse several times. 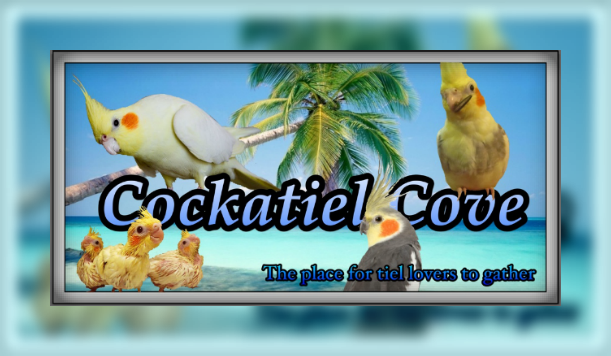 You can feed these to your Fids from day one if you like. If all goes well they should look like this in just a few days. As you can see here there is almost 100% strike rate. This is very important, as bad seeds will go rotten very quickly, spoiling the rest. Very simple to do and great food, for both you and the fids. Very informative! Thanks for sharing! Ima make this a sticky! Great information! I always had trouble understanding how, but your pictures really helped me, and now I am off to do it tomorrow! Great article.It will surely help this forum's members. I do these all the year round here in New Zealand. On the window sill in the cupboard it does not matter they sprout. In winter they take about 4dys in summer 3dys. When I first started sprouting as food for humans I had all the gear. That was years ago, but i learned the basics. 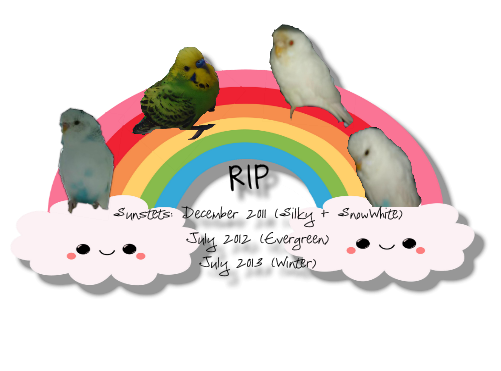 Then when I got the Fids I knew if I sprouted for them, they would be getting great food and I did not have to worry what humans had done to the food. 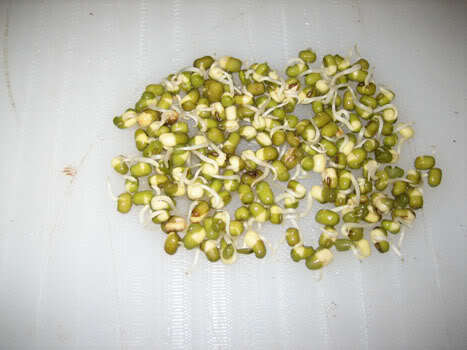 If they sprout they are fresh seeds and not treated. 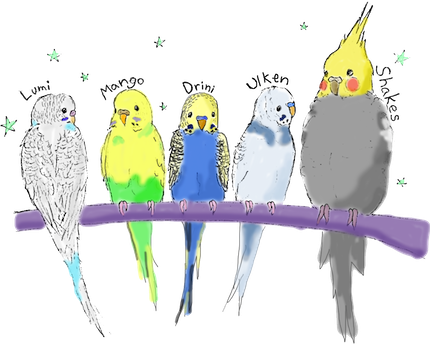 Spoiling is the biggest danger, that is why I say taste and feel before you even consider giving them to your Fids. get to know what they taste like. It is very simple and not as hard as some would make it sound. Do not put in fridge or cook as i feel this destroys some of the goodness. Here is some info I found on the net.